Yoga means unity. Unification of body, mind, and spirit is our goal. Regular yoga practice is healing and its part of a holistic health journey. You have taken the best step that you can take in your life to improve your health! Integration of yoga and holistic health practice creates a healthy lifestyle. Natural health or Alternative medicine guides you on how to integrate proper nutrition, exercise and natural remedies in your everyday life. A naturopath will teach you how to live healthier and happier every day! Integration of yoga and natural health is a healing practice. When they are together both complete each other. We need to integrate yoga and natural health in order to reach our optimal health goal and live a happy and healthy long life. Integration of yoga and natural health practice creates a healthy lifestyle that will be rewarding. Do you know that our lifestyle is what demonstrates the cause of our diseases? Let’s learn how we can improve our lifestyle and how to create change to achieve positive results. In the following pages, we will guide you on how to reach your health goal. If you have enough patience to practice what we teach, we will warranty that you will appreciate the positive results you get. If you like to schedule a private yoga session, contact Shari. Please Note This Is Not An Actual Appointment, But Only A Request For One. We Will Contact You Shortly To Confirm Your Appointment or Provide Available Appointments Dates & Times. How can I Rejuvenate my body and mind? Actually, I have been a passionate naturopath expert am dedicated to delivering a client experience that goes beyond supporting your physical health to advancing overall vitality. Actually, I work side-by-side with my client to boost lifelong physical activity, connectivity, and productivity. What is your naturopathic procedure for advancing Vitality? First, I meet my clients where they are health wise. Next, my goal is empowering them to take meaningful steps toward a healthier, happier, more productive life. My client and I are working together to reach one goal. My holistic health solutions are specially designed to address the greatest health barriers my clients face today—and the new challenges they’ll encounter tomorrow. Heal your Body, Emotion, Mind, and Spirit. Reduce Stress, Release Negative Emotion and Replace with Positive one that is Patience, Courage, Confidence, Happiness, Forgiveness, Compassion, Wisdom, Peace, and Bliss. Natural Health and Yoga practice gives you courage, Strength, confidence, patience, self-love, and inner peace. I believe that yoga heals not only the physical body but also the emotional, mental and spiritual body. Yoga is an especial exercise that engages every part of your body from the tip of the toes to the crown of the head. Regular yoga practice will be beneficial to our body, mind, and spirit. Healing starts from spirit, next mind and finally the physical body. Holistic healing is possible by taking a regular yoga session. Have you ever thought about the meaning of yoga? Yoga means unity. Unifying our body, mind, and spirit is yoga. Regular yoga practice helps us to reach our well-being goal naturally. Isn’t it? 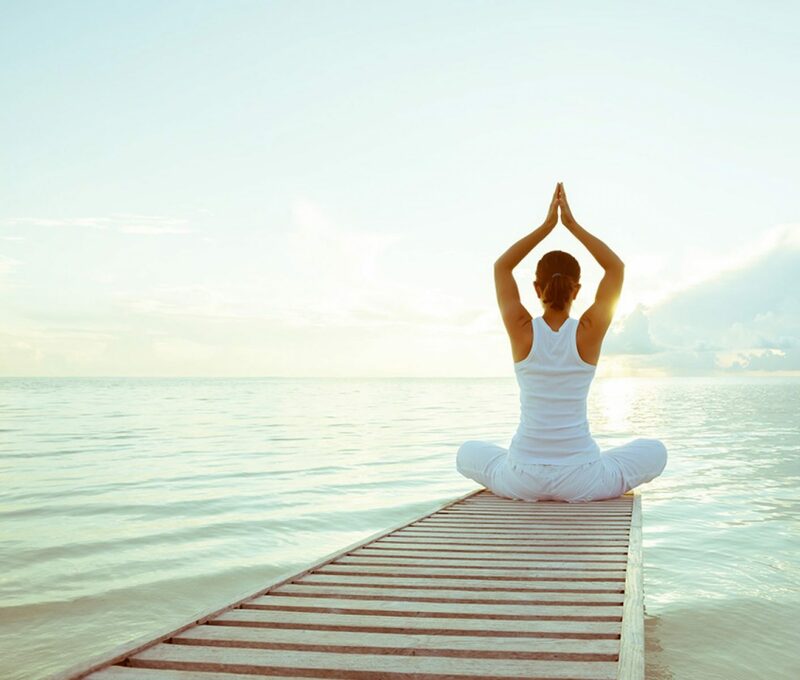 Do you know holistic health or alternative medicine has originated from traditional yoga philosophy? How yoga practice is different than other exercises? Actually, considering the whole person(body, mind, spirit) is the foundation of holistic health practice. We are not only the physical body but also the mental and spiritual body each plays a big role in our well -being. Physical illness is the LAST stage of illness in integrative yoga philosophy. For example, when we get sick, the first stage of symptoms shows off on the spirit level. Next stage of illness is the mental level and finally, the last stage is physical symptoms of illness. Integrative yoga practice considers not only physical healing but also emotional, mental and spiritual healing are necessary. Now we know that we need to heal the spirit first, next we will be able to heal the mind, then emotion, and finally the physical body will be healed. This is called holistic health! A Naturopath is trained to employ safe and effective natural therapies that will support and stimulate the healing power of nature in the gentlest, least invasive and most efficient manner possible. Naturopaths use a range of methods to assist in the healing process including herbal medicine, nutrition – diet and lifestyle recommendations, vitamins and minerals, flower essences, homeopathy, hair, tongue, and nail analysis, iridology and massage. The individual is viewed and treated in naturopathic medicine as a whole, composed of a complex interaction of physical, mental, emotional, spiritual, social and other factors. Thus patients suffering from everyday colds as well as some more serious, chronic conditions such as allergies may benefit from naturopathic treatment. What is the procedure in a Natural Health Consultation? First phone Consultation is ALWAYS FREE. Next, an initial appointment with Doctor of naturopathy is necessary for body evaluation. Holistic health evaluation will take between 1-2 hours in which your medical history and general lifestyle will be reviewed. Then Doctor can determine a naturopathic healing regimen suited to your individual needs. Diagnostic procedures such as physical exams, Quantum magnet analysis, Iridology ( Iris Eye Exam), Nutrition Assessment Questioner may be required in order to establish a healing plan and health-promoting program. Naturopathy is suitable for everyone, from infants to the aged. Self-directed disease controller does not mean doing on your own without help or guidance. It is about taking control of your own health and realizing you are responsible for your wellbeing. How much you achieve will depend on how persistence you are! It starts with an evaluation of your physical, mental and spiritual health. Setting a goal will be next. It can be beneficial to work this goal out with the client, as opposed to setting it for them. This is a collaborative effort between the health consultant, client, and parent. Where would we like to be health wise for three months? In 6 months? Then, the naturopathic consultant can work with the client to determine how best this goal can be reached. Naturopathy easy and low-cost steps allow clients to take responsibility for their own health and apply %100 natural solutions. Having enough patience and persistence in practicing healthy habits, leads to long-lasting well-being. Thus, clients can start to see the naturopathy results and realize that, with a little effort, they can overcome a new health challenge. Self-directed disease control at Naturopathy involves guidance and motivation from the Doctor of traditional Naturopathy consultant. A client is not left alone to decipher completely new health concerns. The naturopathy consultation time with the consultant is where new health evaluation will be done and health progress is discussed and future guidance and goals will be worked. The consultant is also there to answer clients’ health questions throughout the session. The naturopathic consultant will guide the client to see the healthy path to the solution. In fact, our goal is Guiding the client in finding the answer, instead of giving the answer outright, will benefit the client the next time he comes across a similar health problem. Help the client identify the cause of disease or to consider what has been done on a similar health problem to find the natural remedy this time. This self-sufficiency will benefit the client when working on his/her own well-being and enjoying a better quality of life. It is important that the client believes in natural remedies and reinforces this at home. A Naturopathic doctor helps clients by guiding them when he/she has health challenges to find natural solutions. Then, have them practice and have enough patience to face healing crises that will be expected. Lastly, let the client solve a health problem with no supervision and check the result. Essentially, self-directed disease controller is setting a goal, working with a Doctor of Naturopathy Consultant to determine the path, followed by consistent practice and finally feel the difference. Call or text Doctor of Naturopathy with any health question you may have 949-500-2984. It is ALWAYS FREE.